My best childhood memories were spent at Santa Fe Dam in Irwindale. No one in the family had a big backyard so on special occasions like Fourth of July or Memorial Day weekend the whole family got together there. The best part is that it’s only 20-30 minutes away from Los Angeles. You can bike, fish, rent a boat and they even have a man made beach. That was always my favorite part. My new favorite amenity is the kid’s splash pad. 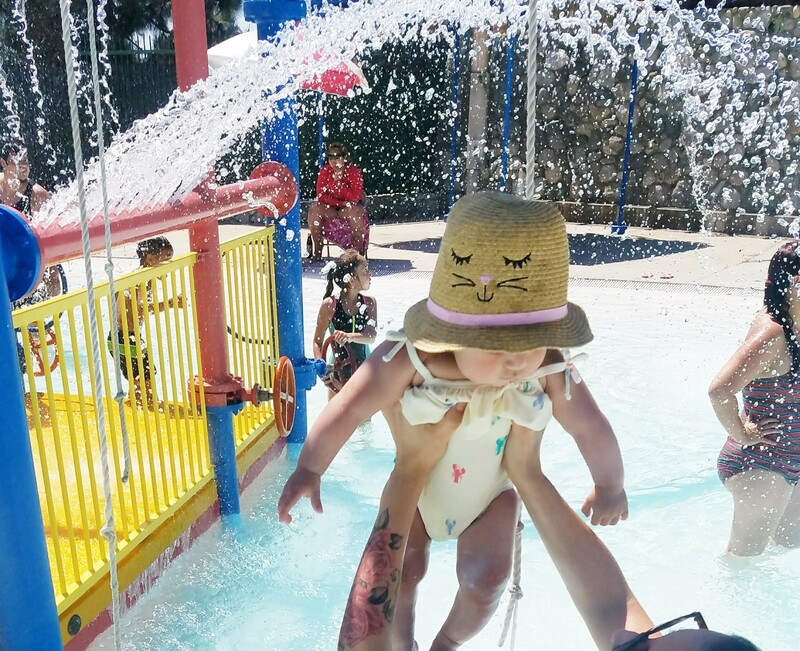 We visited the splashpad last weekend and had a blast!! The best part about it is that it’s practically hidden in the back of the park so I’m letting you in on a cool Los Angeles little secret! We were one of four families there. The surrounding area is not as nice looking as the rest of the park. That area of the park must have suffered severely from California drought because it looked liked it had been burned down. 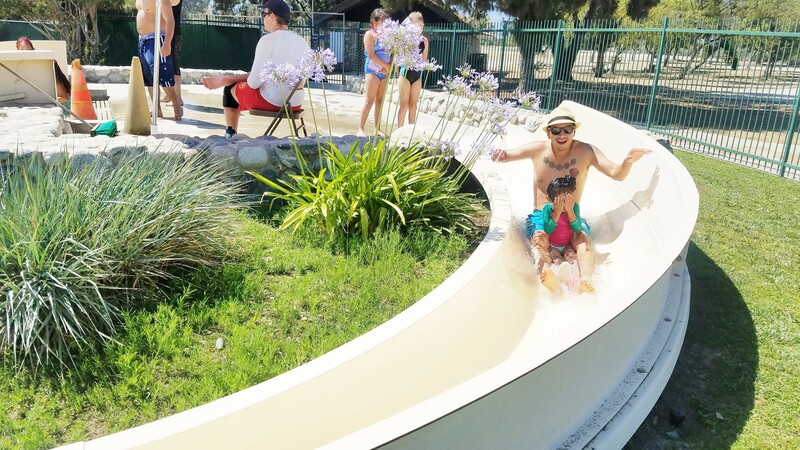 Either way, we had lots of family fun in this hidden gem! So here’s the important info you’ll need to make a fun day out of it! Parking is $10 per car. Arrive early because if the park reaches capacity they will close for a few hours. We arrived at 1 PM and barely made it in. My friend came around two and didn’t make it until 4 PM. The splash pad is located next to parking lot 5. They have an hour and half sessions. That was the perfect amount for us but you can stay for more sessions if you would like. They charge $2 per person (even little babies) and everyone must have a bathing suit on. Even if you don’t plan to get in the water. I did like that they let us set up our canopy and blankets on the grassy area inside. 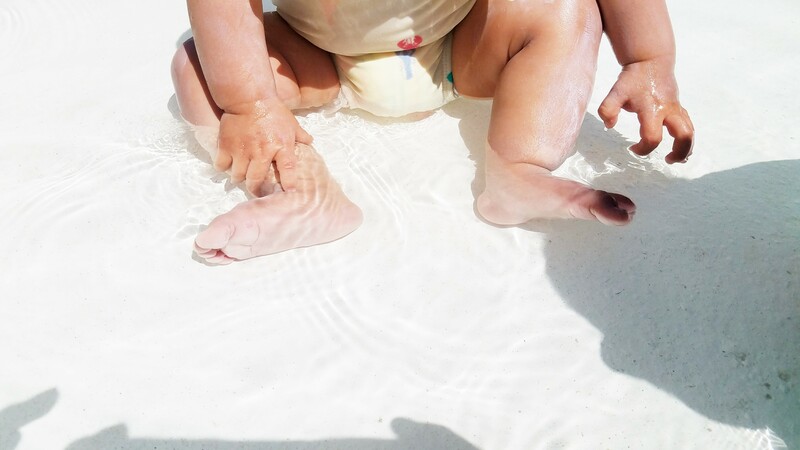 Dahlia took a good nap while the hubby and I took turns playing with Ji in the water. 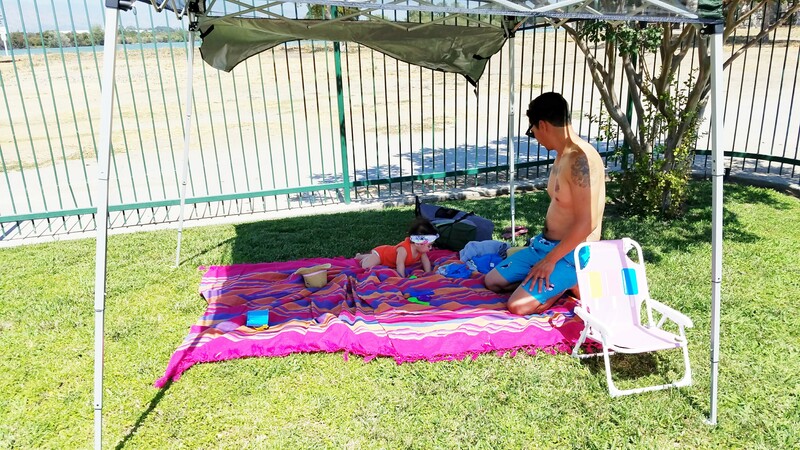 Once we had our fun in the water park we drove to another area that was close to a playground and set up a picnic. 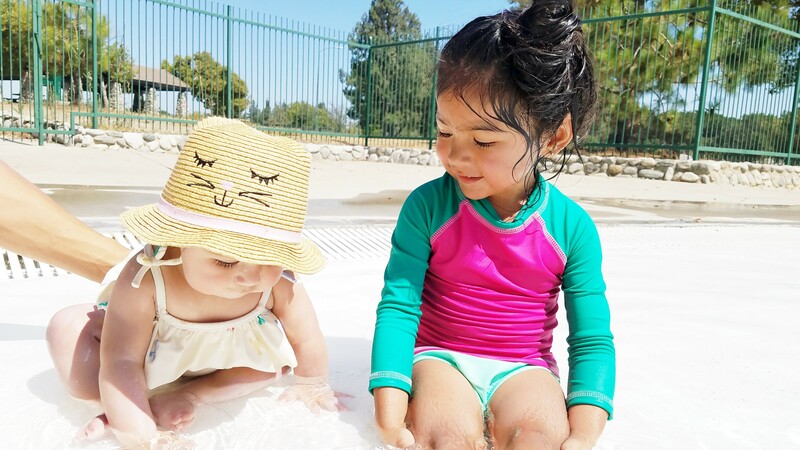 As soon as Ji has her swimming lessons we will definitely be spending time in the beach area this Summer. Especially because it’s the perfect halfway point to meet up with my Inland Empire friends. 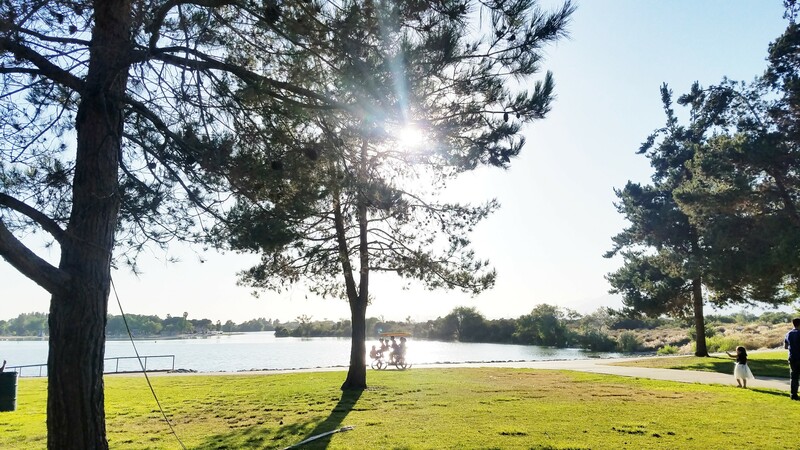 Do you have a favorite Los Angeles Recreational Area? I would love to check it out! The splash park looks awesome! I will have to get the family out there for a fun day in the water before summer is over. Thanks for the tip!